Cephalopelvic disproportion (CPD) is an obstetrical condition where the baby’s head is too bid in proportion to the size of the pregnant mother’s pelvic bone. CPD presents dangers for both mother and baby during labor and delivery. An overly large head means that the baby will have difficulty passing through the birth canal. This typically means labor and delivery of the baby will be prolonged and stressful. A baby normally enters the birth canal with its face toward one side or the other of the mother If the head comes into the birth canal or tries to get into the birth canal but cannot because there is a mismatch between the size of the head compared to the size of the birth canal, that is called cephalopelvic disproportion. This is not a safe situation for the baby because it can cause oxygen deprivation. Cerebral palsy (CP) is a neurologic condition where a damage to a child’s brain results in permanent loss or impairment of muscle and motor control. Erb’s Palsy is a specific type of birth injury resulting from damage to nerves at the base of the neck when it becomes overstretched during childbirth. The condition results in some level of paralysis in the arm. Epilepsy is another neurological condition involving the central nervous system. Babies born with epilepsy have uncontrollable seizures and loss of awareness, among other symptoms. 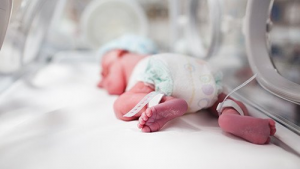 In addition to the separately defined birth injuries described above, CPD can also result in various physical injuries to baby and mother during delivery. Shoulder dystocia and dislocations, sprains, tears, fractures and similar physical trauma are all frequent results of delivery with CPD. Fetopelvic disproportion is like a cousin to cephalopelvic disproportion. Cephalopelvic disproportion is when the baby’s head is too large to pass the mother’s pelvis. Fetopelvic disproportion is a broader term for when the baby cannot get past the pelvis for whatever reason. Many doctors use fetopelvic disproportion and cephalopelvic disproportion interchangeably. Medical malpractice involving cephalopelvic disproportion and related injuries can come in a variety of forms. For instance, malpractice claims can arise if the doctor or delivery team fails to timely diagnose or recognize the presentation of CPD. Timely recognition of CPD is often critically important to an effective response. It doesn’t do any good to diagnose CPD once the baby has already become stuck in the birth canal. In other cases, malpractice can occur not in failing to recognize CPD but in negligently managing or responding to it. For example, a doctor may recognize CPD but negligently persist in attempting a vaginal delivery or uses excessive force to maneuver the baby through the birth canal. Many malpractice claims involving CPD are based on allegations that the doctor should have done a c-section because the clinical signs pointed to cephalopelvic disproportion. Below are summaries of several recently reported verdicts and settlements in malpractice cases involving cephalopelvic disproportion. Stating the obvious, these verdicts and settlements are for informational purposes only and should not be relied on to predict the value of your own potential claims. Ridnicki v. Memorial Health System (2017 Colorado) — $4,000,000 Verdict: A woman is admitted to the hospital to induce labor because of the large size of her child. She is given Pitocin. After two and a half hours the baby has still not sufficiently descended due to cephalopelvic disproportion. The obstetrician tries a vacuum extraction. The vacuum keeps popping off as it often does and the doctor makes three attempts. The boy is born with severe scalp abrasions and bruising on his skull. He appears nonresponsive and has depressed APGAR scores. Plaintiffs claim his permanent brain injury was caused by the negligent vacuum extraction. Estate of J.B. v. Baptist Easley Hosp. (2016 South Carolina) — $250,000 settlement: Labor was induced with Pitocin despite the presentation of CPD, doctors allowed labor to continue for almost 3 days before eventually performing an emergency c-section delivery. The baby died within several hours after delivery. The wrongful death claims were settled for $250,000. E.N., Pro Ami, Archin v. United States (2016 New York) — $400,000 settlement: doctors and delivery team at New York hospital were allegedly negligent in failing to detect cephalopelvic disproportion prior to labor. Had CPD been timely diagnosed a c-section delivery could have been done to avoid injuries to the baby. The claims were settled for $400,000. If you believe you may have a malpractice claim based on failure to detect or manage cephalopelvic disproportion, contact the birth injury lawyers at Miller & Zois for a free case evaluation. You can call us at 800-553-8082 or click here for a free online consultation.